Just delivered our entry to the Tulip Radio Office. Thanks to Wyn, Veronica, Gill, Jon, Bev, Katie, Denise, Mo, Clare & Maggie for their excellent contributions. There are several finished canvases on their walls making a colourful display. 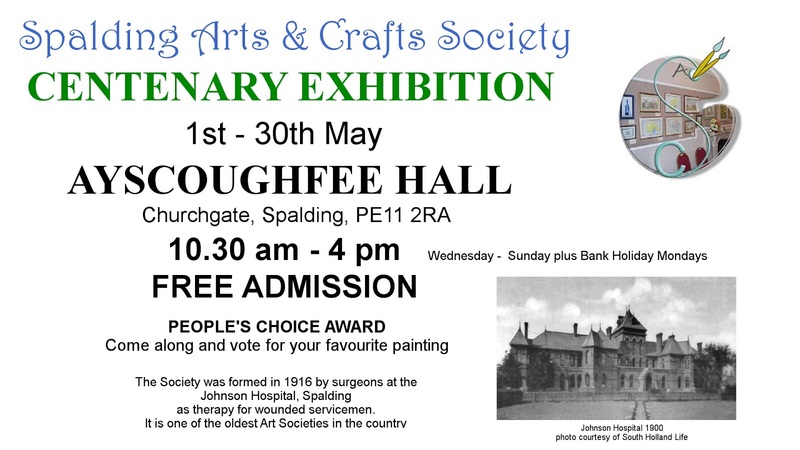 All the entries will be on display at the Pride of South Holland Awards ceremony, 18th June, South Holland Centre. 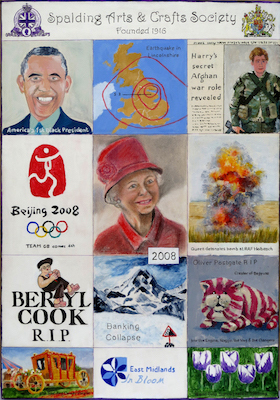 For anyone who hasn't been following this on the Spalding Arts & Crafts Society Facebook page, the competition is to celebrate the Queen's 90th birthday with a series of canvases, each depicting events from a year of her life. Our year was 2008. Update - The awards were given out on the 18th June - sadly we didn't win but our entry was Highly Commended, the winner was a timeline collage. Paintings, framed & unframed (including some of mine) are for sale.